“Voice” is the sound made by vibrations of the vocal cords caused by air passing out through the larynx, bringing the cords closer together. Your voice is an extremely valuable resource and is the most commonly used form of communication. Our voice is invaluable for both our social interaction as well as for most people’s occupation. Proper care and use of your voice improves the likelihood of having a healthy voice for your entire lifetime. Voice problems occur with a change in the voice, often described as hoarseness, roughness, or a raspy quality. People with voice problems often complain about or notice changes in pitch, loss of voice, loss of endurance, and sometimes a sharp or dull pain associated with voice use. Other voice problems may accompany a change in singing ability that is most notable in the upper singing range. A more serious problem is indicated by spitting up blood or when blood is present in the mucus. These require prompt attention by an otolaryngologist. Voice changes sometimes follow an upper respiratory infection lasting up to two weeks. Typically, the upper respiratory infection or cold causes swelling of the vocal cords and changes their vibration resulting in an abnormal voice. A throat examination after a change in the voice lasting longer than one month is especially important for smokers. 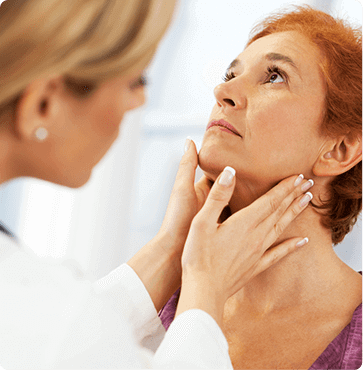 A change in voice is one of the first and most important symptoms of throat cancer. Early detection significantly increases the effectiveness of treatment. A wide range of problems can lead to changes in your voice. You should seek out a physician’s care when voice problems, such as hoarseness or roughness, persist, as they are often caused by a medical problem. Contact Austin ENT Clinic if you have any sustained changes to your voice. You can request an appointment online or simply call our office at 1-800-876-EARS (3277) to arrange a consultation with one of our board-certified otolaryngologists.